things, it also has its uses as a weapon, particularly against machines. To get it in-game, it can be purchased from Crattis Yurkal on Dantooine. Alternatively, you can get it by typing "giveitem di_ssd_01"
and hitting the return key. higher on a random number generator out of 20. If not, the effect will fizzle. at the time in order to use this. 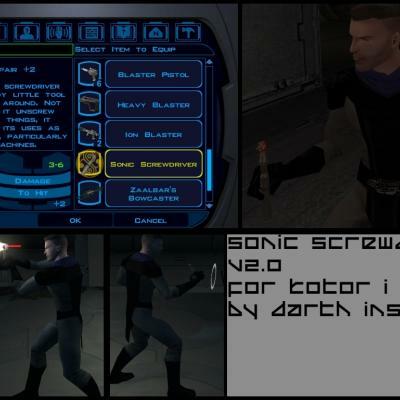 Double click on "Install Sonic Screwdriver for KotOR I", and hit the "Install Mod" button. If you installed this mod on top of other mods, DO NOT delete the files "globalcat.2da" OR "spells.2da", as this may cause problems with your game. -Thanks as always to the folk at Holowan Labs, without whom KotOR modding would never have got off the ground. 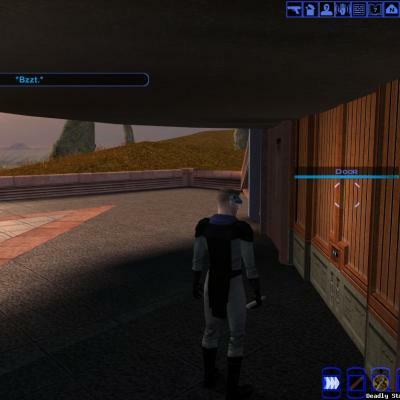 -Lucasarts and Bioware for KotOR, and Obsidian, too, for TSL, without which, I couldn't have made this . Kotor Tool belongs to Fred Tetra, NWNSSCOMP belongs to Edward T. Smith. 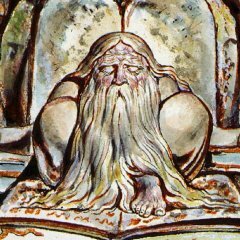 as-is without alteration, unless by permission of the mod author. This mod is not to be distributed for profit, either.